Save 71% for a very limited time! 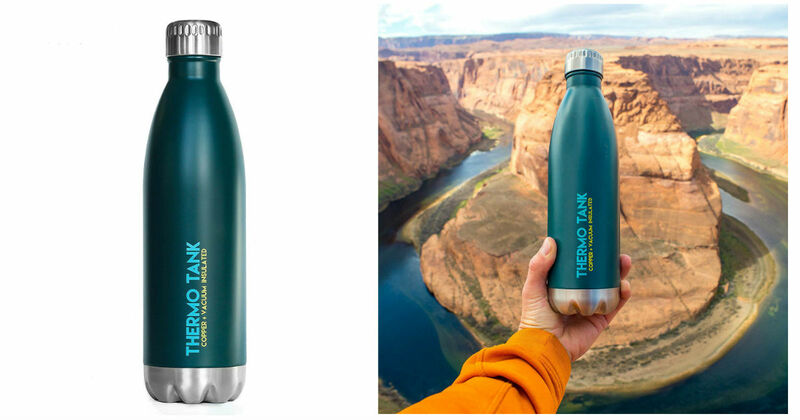 Head to Amazon and clip a $2.00 digital coupon to score this Thermo Tank Insulated Stainless Steel Water Bottle for only $7.77, regularly $26.97! Keep drinks cold for up to 36 hours! Incredible insulation that an adventurer need. A layer of copper surrounds this hidden space for even further protection from the elements.